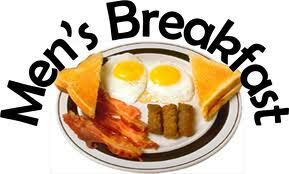 The Men’s Ministry Team will be having their annual “Kick-Off Breakfast” on Sunday, Jan. 27th. All the men in our church are invited to attend. The breakfast will start at 8:30a.m., but come early and meet some of our invited guests. Our guest speaker for our event will be Richard McGeorge. Rich is a native of Roanoke Va. and a graduate of Elon College. During his time at Elon he played both football and basketball. While playing football at Elon, Rich was voted first team “College Football All-American” during both his junior and senior years. During that same period of time he also achieved Academic All-American with his studies. After finishing college, he was selected in the first round of the 1970 NFL draft by the “Green Bay Packers”. After playing nine years of his professional career with Green Bay, he retired from pro-football. Rich then started his second career, coaching both pro & college teams (Duke, Miami Dolphins, etc.). Among his many accomplishments, Rich has been voted into the “Elon Sports Hall of Fame”, the “North Carolina Sports Hall of Fame”, and the “College Football Hall of fame”. There will be no charge for the breakfast, but there will be a donation basket.